Whether you realize it or not, you already know at least a little something about Freeman Outdoor Gear (FOG) and their knife making pedigree. Jeff Freeman, the owner, is the designer of some of the most recognizable designs to come out of a certain “Legendary” knife manufacturer based in Oregon. He has now started his own brand and, judging by the initial offerings, that is good news for all of us. The first design from FOG, the 451, is a looker. It seems to successfully straddle the lines between the outdoors/hunting knife genre and the tactical/survival genre. 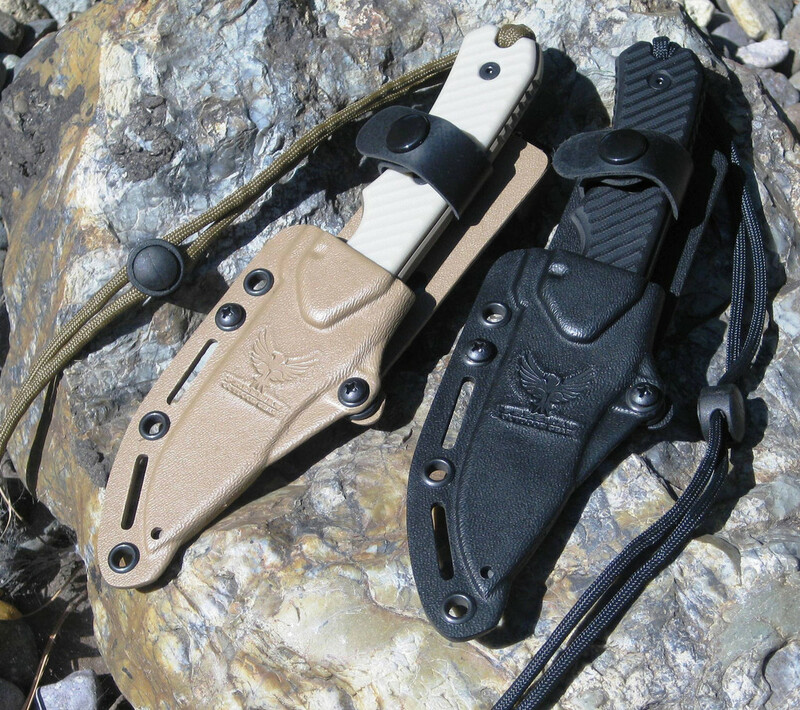 It is available in 2 sizes – the regular 451 with a 4″ blade and a compact version with 3.25″ blade. FOG grinds both knives from CPMS35VN which is an impressive steel that I find to be somewhat like a tougher, easier to sharpen version of S30V. 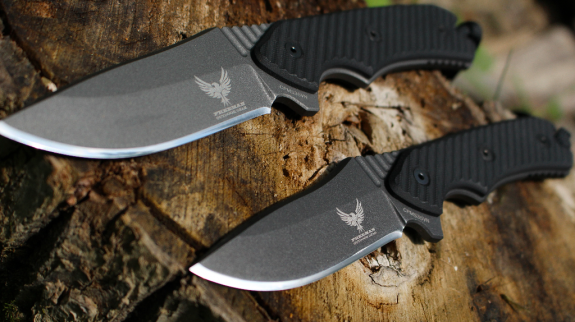 The knives feature machined G-10 handle slabs and come with functional kydex sheaths. You can create your own sharp looking color combination when you order a 451. The G-10 slabs are available in a number of colors and the blade is Cerakoted in your choice of colors. These knives are not inexpensive but they do seem to offer a great value. I am not aware of any other fixed blade knives made from S35VN with a similar feature set in this price range. 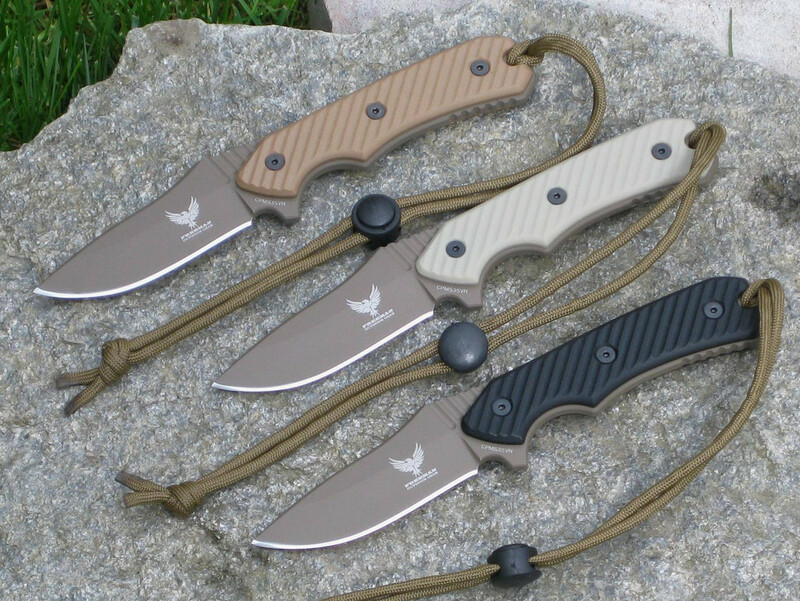 Check out Freeman Outdoor Gear and see the knives at BladeHQ. Because who needs a Benchmade Nimravus, when you can buy a blatant ripoff (most likely at a higher price point). I see the similarity up near the front of the handle. They both come with black handles and black blades. And they are both drop points. But to call it a “blatant ripoff” seems like quite a stretch to me. Especially since the conclusions drawn are based on a few pictures and not a side-by-side in-hand comparison. I grant that there are some similarities in style due to common knife features and color schemes. But different ergonomics, different geometry, different materials and workmanship is not the definition of a copy or ripoff. It is hardly a blatant ripoff or even a ripoff at all. It is probably closer to the NimCub but even that is a stretch. I can see some similarities but then again it is a drop point with a common handle shape. The 451 has more belly with a less pronounced point. Its thumb ramp, sub guard, and choil are more pronounced. The handle is actually quite different if you look. The materials are completely different as is the thickness. It really isn’t even close to a copy and any commonalities are really just the result of common knife features. Very nice knives. Looks to be very high quality. Wish I could afford one. Hee hee.